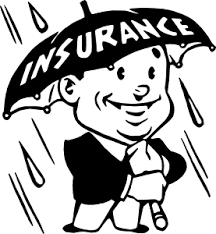 Most of your most valuable items are already covered by insurance, such as car insurance and homeowners insurance. When your treasured personal or business items are in self storage, they should get the same respect. Insurance is designed to put your mind at ease so that when you aren’t around, you know your items are in great hands and are protected against the worst. Nobody anticipates that they will need insurance, but unexpected events can happen at any time and it’s better to be prepared for them. In the event of an unexpected event, you will be glad that you have up to $15,000 coverage for only $10/month. This will help you cover the cost of repairing or replacing any damaged belongings. Take a look at our Value Protection Plans, which start as low as $10 per month. This can provide peace of mind that your personal or business belongings are insured and further protected. The Protection Plans offer up to $15,000 protection from theft, vandalism, fire, smoke damage, earthquakes, hurricanes, tornadoes, water damage, riots, strikes, malicious damage, building collapse, civil unrest, harsh weather conditions, and more. They also come with up to $500 coverage for moth, insect, rodent, or vermin damage. Our plans offer better terms and conditions than a typical homeowner’s policy or third party insurance, and can provide the protection you need for all your most valued belongings. The Value Protection Plans offer a simple, convenient option for self storage customers, and the fees are even rolled into your monthly rental payment for the easiest solution possible. However, you can always use your own private insurance instead, if you choose to. Ask your insurance agent if your current renters or homeowners insurance policy covers your storage unit. It may already be included in your current policy or you may be able to add the storage coverage for a small additional premium. Value Store It offers clean, well-lit self storage facilities with various safety precautions to ensure your belongings are well cared for at all times of the day and night. Depending on what you are storing, you may also want a climate controlled unit, which can maintain the optimal temperature and conditions for more delicate items, like wine and family heirlooms. These safety precautions can help you sleep better at night knowing that your items are being cared for 24/7, but they won’t help you if a storm hits or the walls of your unit cave in due to an earthquake (that is what insurance is for). Insurance is never a bad idea, which is why we require some proof of insurance when you rent a unit. Whether you choose one of our plans or use a separate insurance policy, some form of protection is required. Take inventory of what you will be storing so that you know what to claim, in the event of a future issue. Contact Value Store It for more information on our storage options and inexpensive Value Protection Plans.